Everything you need to know about tripods! I often come across the same questions about tripods that friends or colleagues ask me. This is why I will continue to compile the most frequently asked questions in this tripod FAQ! 1. Why do I need a tripod? Photography always means to open your lens for a short amount of time to allow light to hit the camera sensor. During this short amount of time every kind of movement of the camera will harm your photograph as it will become fuzzy and out of focus. That’s why keeping your camera as steady as possible is a prerequisite to take proper photographs – and exactly for this, tripods have been invented. To read more about this topic, check out my guide of tripod use cases here. 2. How much do I need to spend on a tripod? The amount of money you should spend on a tripod vastly differs, depending on your budget and if you are a pro or just an amateur. The cheapest tripods on Amazon or local dealers start at just 30 US dollars – but you will get what you pay for. In my opinion you should spend at least 190 USD on a proper tripod kit to start out. As you can read in my travel tripod overview, there are plenty of good lightweight travel tripods to be had for that amount of money. If you are willing to spend around 500 US dollars you will be able to get a great tripod for professional needs – and you can even spend way more than that if you’re willing. 3. Which tripod manufacturers are the best? There is no “best tripod manufacturer” out there – but a handful of companies I would recommend without a doubt. These company include Manfrotto (pretty big lineup as well), Gitzo (with some very high-end models), Dolica, Benro, Sirui or 3LT (“three-legged thing”). If you find a model that fits into your budget and weight needs at these companies, you can hardly go wrong. 4. How do I chose the right tripod? How heavy is my camera gear that needs to be supported? How much weight do I want to carry around? How high does my tripod need to be? Depending on your personal answers for each of these questions, you can chose the right tripod for your needs – e.g. at our tripod overview on this page. 5. What are tripods made of? Depending on how much money you want to spend, tripods are made of different materials. The cheapest ones are made out of plastic which I would not recommend: plastic gets easily damaged and warps quickly, leaving your tripod unstable. Better ones are made out of aluminum which is a good and cost-efficient solution: it is inexpensive and offers a good combination of sturdiness and a low weight. The most expensive tripods are made out of carbon fiber, which is a very expensive material (obviously). 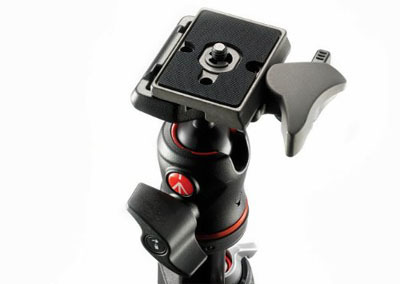 It is not only the most lightweight, but also the most durable material to use for tripods. Sometimes magensium is used in addition for the castings to reduce the weight even more, and at the same time increase the prize. 6. How to clean and maintain a tripod? Another tripod FAQ part that is often overlooked: tripods should be kept dry all the time (even on the road if possible) to prevent it from taking damage over time. This is why sou should have a microfiber cloth with you if possible to keep it dry and clean. I would not use water or other fluids on it to be honest. When you store your tripod, you should put it into its bag and store it horizontally in a dry and dark place. Avoid locking the legs to firmly though as it might damage the legs as well. 7. What is a 3-way head? A 3-way head is basically a pan head where you can adjust all the three axis individually: you can use a different lever to pan, tilt up/down and tilt sideways. 3-way heads can be operated very precisely which makes them a great choice for macro shots, nature photography or architecture. The price for that is an increased weight and space as you have three levers to operate. 8. What is a ball head? Another tripod FAQ heavyweight: ball heads work by putting the camera on a metal ball that is housed inside the tripod head. This ball head allows a seamless movement in all three axis. To adjust your camera position you just turn one single knob which will allow you to rotate if freely. Another turn on the knob in the other direction will lock the camera position again. The main advantage is that you can adjust the camera position way quicker than with a 3-way head, and at the same time save some space as you just have one adjustment knob. The drawback though is that you cannot change your camera position as precisely as with a 3-way head.